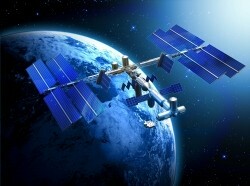 Space exploration is both an international and a commercial effort; several countries, companies, and multinational organizations operate hundreds of Earth observation and information exchange platforms near and beyond Earth's orbital plane. RAND research assists policymakers in planning the most efficient and cost-effective strategy for advancing space exploration and cooperation for both military and commercial benefits. All Authors All Authors Aroesty, Jerry Arthur, D. W. G. Asimov, Isaac Augenstein, Bruno Baker, John C. Brooks, Arthur Buchheim, Robert W. Callanen, G. G. Criswell, David R. Culley, Deirdre May Davies, Merton E. DeLatte, Danielle Diepeveen, Stephanie Dogo, Harun Dole, Stephen H. Fazekas, Mihaly Firstman, Sidney I. Forsaith, James Frelinger, David R. Gabriele, Mark Garber, T. B. Gilleron, Jerome Giver, L. P. Gonzales, Dan Goshev, Simo Greenfield, Stanley Marshall Harris, Elwyn Heer, Ewald Hiland, John R. Hogan, Thor Hoorens, Stijn Janta, Barbara Jones, Therese Marie Juncosa, M. L. Kern, J. W. Kobzar, Svitlana Lachman, Beth E. Leinweber, David Li, Gary Logan, J. Meckling, William Miller, Michael D. Moore, Roger Chandler Murray, Bruce Novick, David Nyland, Frederic S. Orletsky, David T. Pace, Scott Pedersen, Janice S. Pollpeter, Kevin L. Reding, Anais Ridsdale, Helen Sarsfield, Liam P. Saum-Manning, Lisa Schorn, Ronald A. Shipbaugh, Calvin Smith, Harlan J. Sollinger, Jerry M. Solomon, Kenneth A. Spinrad, Hyron String, J., Jr. Thompson-Starkey, Tony G. Villhard, Vic Wagner, Caroline S. Wald, Samuel Wilson, Alisa Wilson, Peter A. Yaqub, Ohid Zimmerman, R.
NASA astronaut Dr. Mae C. Jemison delivered RAND's 2018 Haskins Lecture. She discussed how the pursuit of interstellar travel benefits society, the vital role science plays in our lives, and the importance of continued investment in research and technology. 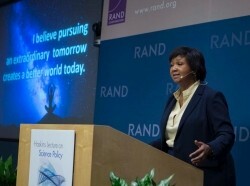 In this Events @ RAND podcast, Dr. Mae C. Jemison, RAND's 2018 Haskins Fellow, discusses why we must consciously pursue an extraordinary tomorrow in order to build a better world today. Students from around the world participated in the 2017 Caltech Space Challenge. They proposed designs of what a lunar launch and supply station for deep space missions might look like, and how it would work. This issue highlights RAND research on new ways to measure wellbeing in cities; effects of cigarette advertising on teens; supermarkets in so-called "food deserts"; the decline of civics education in American schools; and more. Two symbols of U.S.-Russian cooperation are nearing the end of their life expectancies, the International Space Station and the Nunn-Lugar Cooperative Threat Reduction Program. But both stand as remarkable milestones of achievement and reminders of what can be accomplished when nations put aside political differences for the betterment of humanity. Hundreds of guests packed the Cary Grant Theatre at Sony Studios to kick off RAND's Politics Aside event with a discussion on space technology, policy, and leadership. Matt Miller, columnist, author, and radio host moderated the panel, which included Simonetta Di Pippo, Director of the UN Office for Outer Space Affairs; George Whitesides, CEO of Virgin Galactic; and NASA astronaut Cady Coleman. Even in the face of a budgetary spending cap and the ever-looming possibility of new cuts, NASA continues investing in a robust and diverse human spaceflight program. But with fiscal uncertainty expected to continue, it should consider reordering its spending priorities. This external publication is an online database of short Horizon Scanning Centre think-pieces. RAND Europe updated 25% of the papers on this database, to incorporate more recent policy issues, evidence, and developments. 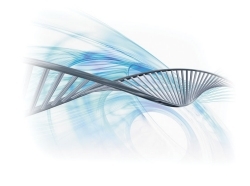 Endeavors to determine -- on the basis of then-current biological and cosmological knowledge -- whether there are other worlds where man can survive or where human life may even now be flourishing. ''Habitable Planets for Man'' examines and estimates the probabilities of finding planets habitable to human beings, where they might be found, and the number there may be in our own galaxy. Seminal guide from 1958 on the uses and characteristics of space systems, including astronautics and its applications, technology, rocket vehicles, propulsion systems, propellants, internal power sources, guidance, communication, and more. Small spacecraft have become popular for a number of reasons, most prominently the needs to reduce overall cost, be built more quickly, and spread mission risks. Despite the risks, however, small spacecraft fulfill important roles in earth science, astrophysics, space physics, and planetary science. 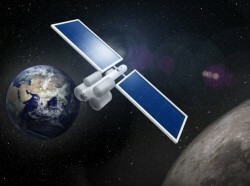 NASA's current generation of small spacecraft is capable of impressive levels of performance. As of the end of 1997, the U.S. had cooperative agreements with 76 countries and six multinational organizations covering the operations of 32 active satellites. This report catalogs the agreements and assesses the extent of interagency coordination. Space programs extend over long periods of time and require considerable financial investment. Describes the findings of the Space and Surface Power panel, one of eight project panels evaluating submissions to the Space Exploration Initiative (SEI) Outreach Program, or Project Outreach. A description of a camera that, as a payload of an early space vehicle, could photograph the moon. The resulting pictures should be superior to those obtained by telescope or by television cameras such as those carried by Pioneer I and II.